Second graders have recently become urban planners! Students learned that urban planners decide what types of buildings and spaces are needed in a community to make it an enjoyable place to live, work, and play. Students determined which places were needed in an urban community to keep people safe and healthy and which places were wanted to make daily life more fun. 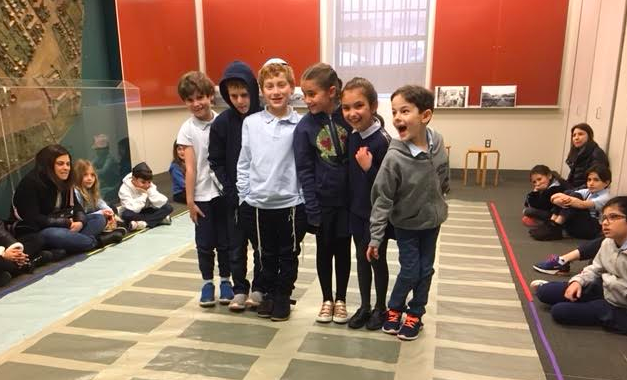 This week, second graders put their urban community knowledge to use as they attended an Urban Planning workshop at The Museum of The City of New York where they had the opportunity to map out an urban community on a giant grid!